Forests define our Canadian geography and identity. One-third of our country is covered with trees, and forests occur in every province and territory. Jobs in forestry employ more than 200,000 Canadians and support many Indigenous and northern communities. Our forests are the reason why I’ve had days in the backcountry when I’ve encountered more foreign tourists, such as Germans in the Yukon, or Japanese in Algonquin Park, than Canadians. 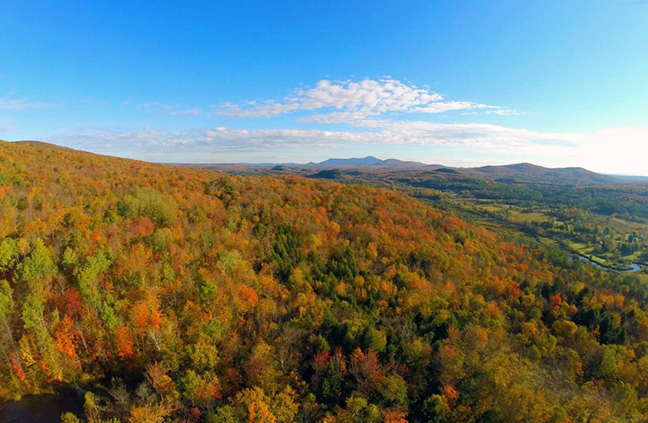 It’s easy to think that our forests are endless, and it’s a mindset we’ve held for a long time. But we need to change our thinking. Although there are vast areas of forest in our northlands, these places represent some of our planet’s last stands of large intact forests. In southern Canada, we have lost and degraded many of our forests, impacting both nature and people. In fact, if some Canadian regions were separate nations, such as the farmlands of southwestern Ontario, they would rank with developing countries, including Haiti and Madagascar, for their loss of forest cover. Forests in southern Canada have been heavily impacted by land use change, fragmentation and invasive species. In some regions of southern Ontario, forests have been reduced to less than seven per cent of the landscape and are continuing to decline. Invasive forest insects and diseases have taken a heavy toll on many tree species, including white ash, American chestnut and white elm. 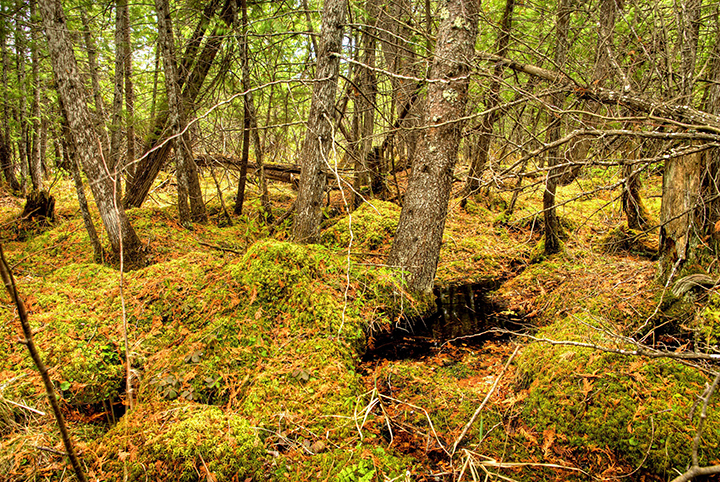 The Acadian forest region of Atlantic Canada, while it still has abundant tree cover, now has a lower percentage of the landscape with old-growth forest than Europe. And in western Canada, many forests continue to support a diversity of large mammals, but forests outside of the network of protected areas are impacted by land use pressures. Annual rates of deforestation from agriculture in the boreal transition zone in Saskatchewan between 1966 and 1994 was approximately three times the world average. Our southern forests are clearly in crisis. There are opportunities for Canada and Canadians to do more to become world leaders in forest conservation. In Canada’s north, we have a unique opportunity to create the world’s largest network of protected forests in the world. Canada may rank third for total forest cover (behind Brazil and Russia), but if there’s anywhere in the world where intact forests can be maintained, my bet is on Canada. Canada’s northern boreal forests are unfamiliar to most Canadians. 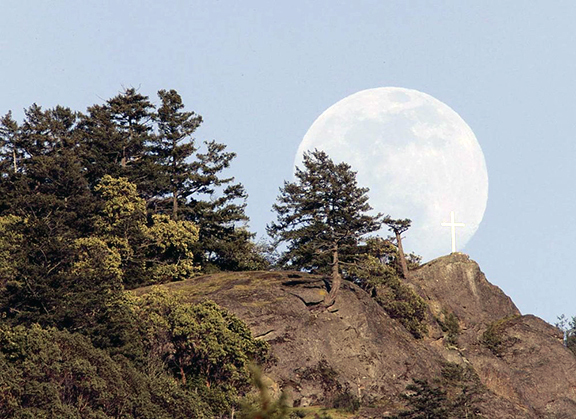 Here, in these hinterlands, we can find more intact forests than anywhere else on the planet. These forests are also the largest storehouse of terrestrial carbon in the world, holding nearly twice as much per square kilometre as tropical forests. Canada’s northern forests provide nesting habitat for an abundance of diverse migratory birds that winter in the U.S., Central America and beyond. It’s estimated that the annual fall migration includes three to five billion birds. Increasing the area of protection in the boreal forest from the current 8.3 per cent to 17 per cent to help meet our international commitments for the Convention on Biological Diversity would result in the protection of more than 890,000 square kilometres. Through additional protected areas and Indigenous- and community-conserved areas, much larger regions of our northern forests could be protected—and indeed need to be protected—to maintain this forest wilderness and species that live here, such as woodland caribou. If we protected at least 50 per cent of Canada’s boreal forest, the total protected area would be larger than Mexico and Central America combined. Conserving these forests is important for Canada, and for the world. Canada can also better catalogue the sites of high conservation–value forests and other sites that have been set aside by industry and recognize the importance of these lands in helping to meet Canada’s goals for protected areas. The energy, forestry and mining industries can all be leaders in demonstrating sustainability, responsible resource use and biodiversity conservation to the world. Unlike forests in the north, the vast majority of southern forests are on private lands, and their protection and restoration require thousands of individual actions. Fortunately, many land owners, farmers, corporations and governments are taking steps to protect these private forests. 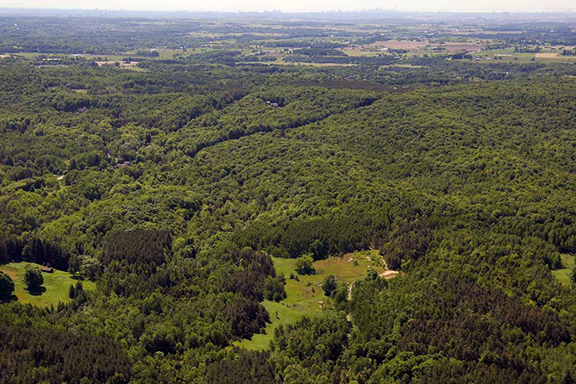 A partnership between TD Bank and the Nature Conservancy of Canada between 2012 and 2016 helped protect 160 square kilometres of forests in southern Canada under the TD Forests program. 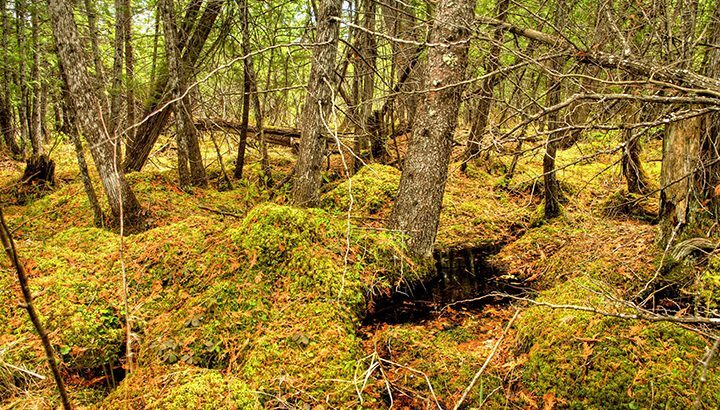 The Government of Canada’s Natural Areas Conservation Program has matched funding from provincial governments and individuals to protect more than 4,300 square kilometres in southern Canada, including many forests. Finding conservation solutions for our southern forests is important for nature and people. These forests provide habitat for many species, but also provide services to our communities. From recharging the groundwater that we drink, to holding back floodwaters during storms, to providing places for recreation, this natural capital is important to maintaining our quality of life. There’s no doubt we have made important progress, but is there is still urgency for forest conservation in Canada. Many nations have recognized the need for accelerated forest restoration and have committed to the Bonn Challenge to restore 865 million acres (350 million hectares) of degraded lands back to forest. The strategic restoration of forests in southern Canada could ensure that our protected areas are connected with wildlife corridors, that the health of streams and rivers is improved by forest buffers and that important habitats for wildlife are maintained. We have a unique conservation challenge in Canada. Can we protect our northern forests, which represent some of the last large, wild forests on the planet, while protecting and restoring the degraded, threatened forests of southern Canada, where most of us live? We have the opportunity to do both. What would be more Canadian than committing to conserve more forests than any other nation? Environmental and Earth Sciences, Guest Authors, NCC, Policy and Politics, Science in Society Bonn Challenge, boreal forest, Convention on Biological Diversity, Dan Kraus, ecosystem values, forest, forest conservation, managed forest, Nature Conservancy of Canada, NCC, protected areas, value of forests. permalink.